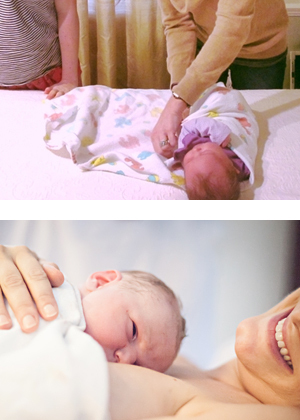 A postpartum doula is a trained assistant who will provide this support to the new family. This person usually comes to your home for three or so hours per day, and helps new mothers, fathers and babies adjust to their new routines. Unlike a nurse or nanny, the doula isn’t just there to help care for the baby, this professional also provides extensive parental support. The period just after giving birth is one of the most difficult for many new parents. New mothers tend to be tired and sore from labor and are generally feeling sleep deprived as their newborns won’t yet sleep through the night. Many new parents find themselves confused and anxious that they’re not caring for their babies correctly. With a new addition to a family, a mother will want to focus on transitioning into this new and exciting time in her life and a postpartum doula can be a great help to make that happen! They can actually reduce the risk of a depressive episode by decreasing the mother’s stress levels and allowing her to move into her new responsibilities more slowly. Season of Healing is deeply proud to be able to offer Postpartum Doula supports in the Monadnock Region.